Since its introduction in late 2013, the Cherokee has been a top-seller for Jeep, outselling in some months the more established Grand Cherokee and Wrangler. 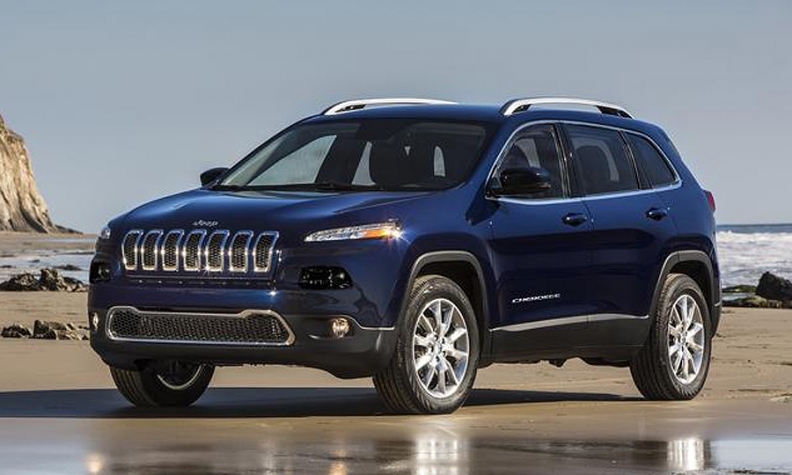 CHELSEA, Mich. -- The popular Jeep Cherokee departed from the brand's traditional boxy styling, and Jeep strategists plan to keep the polarizing look when the midsize SUV is freshened in mid-2016. "I think the overall styling, the overall shape, the overall accommodation of that vehicle is spot on," Jeep brand head Mike Manley said at Fiat Chrysler's proving grounds here. "I don't think that there's anything that dramatically needs to change with that vehicle going forward." Through June, Cherokee is Jeep's top-selling SUV in the U.S., with sales up 31 percent over the same period of 2014. The Cherokee has been plagued by quality and software problems with its transmission. FCA US is conducting a customer satisfaction campaign to reset the transmission software on early Cherokees to improve the nine-speed automatic's operations. Manley said those efforts should help lift the brand's overall quality. "We've made significant progress on Cherokee in terms of the transmission," Manley said, "and we are going to continue to look to make quality improvements wherever we can."